Last fall, Johnny Marr finally told his story and released his long-awaited autobiography, Set The Boy Free. The autobiography chronicled the influential guitarists discovery of music and what it was like growing up in the harsh city of Manchester, England. Yet, the world around him along with his passion to be a rock star led him to meet Steven Patrick Morrissey and form The Smiths. Marr details a vivid account of how the band rose to stardom, became one of the most influential acts of all time and then eventually disbanded, leaving many people to bed for a reunion. 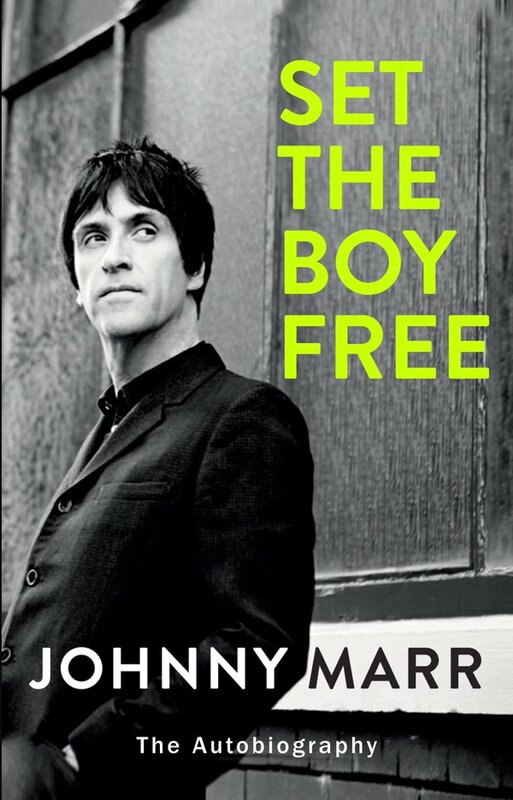 While the rise and fall of The Smiths is not only heavily documented before Marr gave a first person account, what is fascinating in Set the Boy Free is Marr's rediscovery of music and working with bands like The The, Modest Mouse, The Cribs, as well as finding his own voice as a solo artist. Marr, who along with Morrissey, became one of the best songwriting duos in the history of music, brings that same touch to how he pens his life.